I’m going to be honest, I didn’t really pay much attention to These New Puritan’s first album, Beat Pyramid, and I don’t believe many others did either. So when I received “Hidden” in the post, as you can imagine, I wasn’t that excited. The album starts with “Time Xone“, a war like symphony, which sets the scene for the next track “We Want War”. This breathes grimey, dancehall sounds over an orchestra of classical instruments, as if Bach met Roll Deep, the balance between the two very different sounds is done well. With no dominant sound affiliation, the track is unique and interesting to listen to. One thing I did notice however, it seems like the vocals and lyrics, didn’t fit well with the music in places. It is only the darker, more grimier tracks that give this impression, tracks such as “Three – Thousand”, “Attack Music”, and “Fire-Power”, which luckily are a minority within the album. The more orchestral tracks prove to work with the vocals so much better. “Hologram”, takes a softer approach to that of “Fire-Power”, combining a simple bass drum which guides the piano, and horns through the song. “Drums Courts – Where Corals Lie“, builds from a disjointed drum beat and brass band, to a harmony of synths and woodwind, like what a marching band would sound like if led by HEALTH. 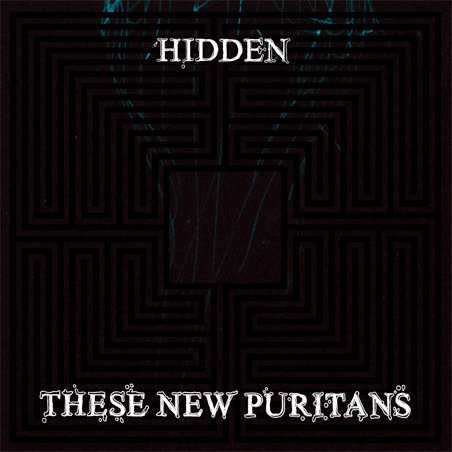 These New Puritans, craft songs in a way no other bands do, which is why it is refreshing to listen to “Hidden”, the album is a good concept, making dance music out of classical instruments, however its not something that has much replay appeal. A few tracks do feel like fillers, however the further you delve into the record, the better it gets. This can be said about the mood of the album as well, towards the beginning, it sounds aggressive, as it plays on, the mood softens to become more melancholy, which I seem to prefer. I will leave you with two tracks I feel represent two different parts of the album.